When Sony and Marvel announced they had reached a deal that would allow for a sort of shared custody of Marvel Comics most popular creation, Spider-Man, it was a pretty epic moment. This was one of those deals that was seemed to be impossible. Sony had invested too much in the character to let the rights revert back to Marvel. And yet, following the struggle of The Amazing Spider-Man 2, the impossible happened and a deal was struck. But how exactly does the deal work, and how much control does Marvel actually have over their own creation again? It turns out, a fair amount. 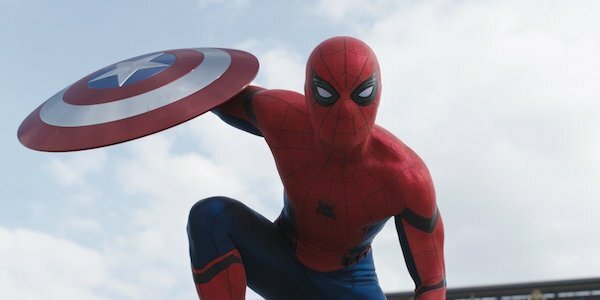 Spider-Man will make his Marvel Cinematic Universe debut in Captain America: Civil War but Sony still has a major stake in the future of the character. It’s one thing when Spider-Man is one supporting character among many, but when the newest solo Spider-Man movie comes along, who will really be running the show? Collider asked Marvel Studios President Kevin Feige this question, and according to the head honcho, the new Spider-Man movie will be a Sony picture, but Marvel has a solid amount of creative control. We’re working very much [together]. It is a— I don’t know exactly what the credits will be, but it is a Sony Pictures production of a Marvel Studios film. The agreement was that it is very much a Sony Pictures movie. Amy Pascal is co-producing it with us and [Sony Chairman] Tom Rothman is leading the charge for Sony and that we are the creative producers. We are the ones hiring the actor, introducing him in this film, and then working right now on the script and soon to be shooting the actual Spidey film. While you could actually read Kevin Feige’s comments a couple of different ways, it sounds like the "creative producers" are a team made up of a couple folks from Sony, including Sony chairman Tom Rothman, as well as a team from Marvel, that includes Feige himself. While an arrangement like this probably doesn’t give Marvel the control they would certainly like, it does give them input on the character going forward. Early reports about how the deal worked made it sound like Marvel and Sony films with the character would be handled almost entirely separately, which sounded like a logistical and creative, nightmare. This arrangement at least creates some consistency. It sounds like whether you’re talking about a "Sony" movie or a "Marvel" movie, if Spider-Man is involved, both studios have a voice. All things considered, it sounds like a pretty even-handed deal that will be creatively and financially successful for both studios. In the end the real winners will hopefully be the fans, who get to keep seeing Spider-Man on the screen, and get to see him hanging out with most of the other characters in the Marvel universe. Now, what can we get done about the Fantastic Four?